A light next to the front door should be about 1/3 the height of the door and placed at least 66″ from the floor. If you have two lights, one on either side of the door, they can be a little smaller (1/4 the height of the door). When in doubt, keep searching for the right lights. You may not find them at your typical big box stores, but they’re worth hunting for! 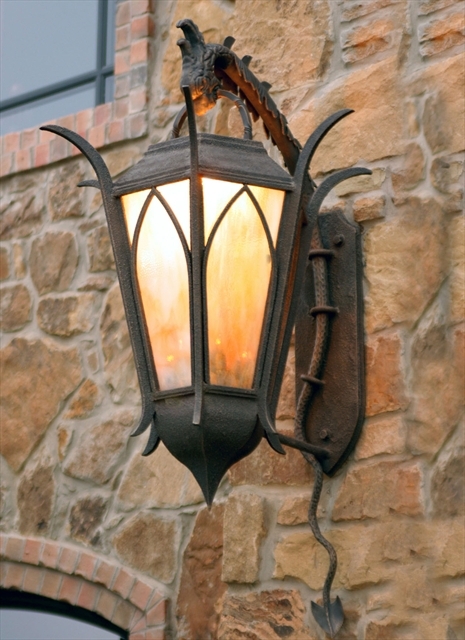 You’ll add a real touch of class to your exterior with appropriately sized lighting. You are currently reading Choosing Exterior Lighting at Your Home & Color Coach.